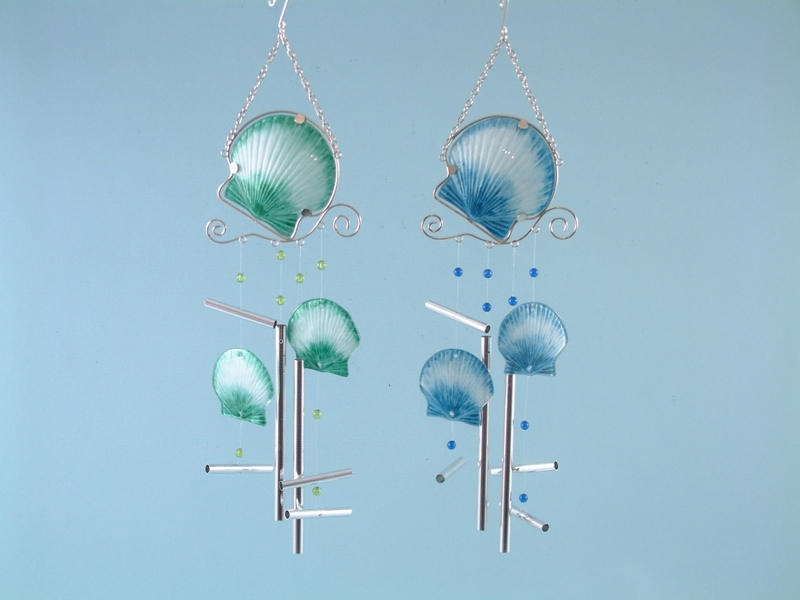 Beautiful shell shaped wind chimes made of metal and glass, available in green or blue. 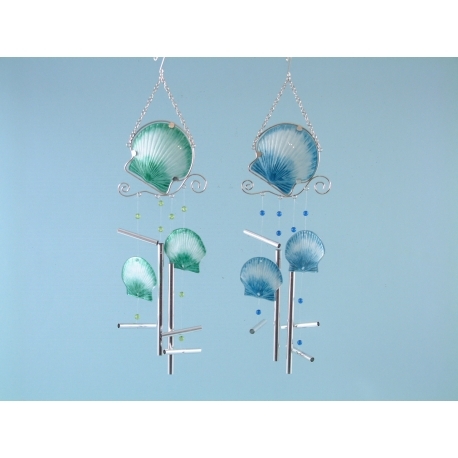 This beautiful metal and glass shell wind chime measures at 63 centimetres and will be a beautiful addition to any room. Wind chimes have a long rich history and are thought to have originated in India. The original bells were believed to ward off evil spirits and bring good fortune to the owner. If you have been looking for a metal and glass shell wind chime to go into a room with a nautical theme, then accept no substitutes and choose our high quality items today.